It takes a special type of person to ride a motorcycle. It takes an even more special type to write some of the emails we get. 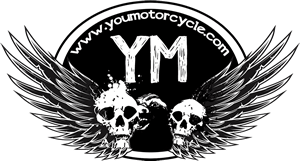 The flavor of the week seemed to be the three emails received about Motorcycle Training Courses and the Learn2Ride section of the site. Starting a motorcycle training courseHi I’m looking to start my own motorcycle training school and was wondering if you’d help me find some crashed junk motorcycles for the students to use? Where are you from? Let it be known I consider myself relatively brave, but I can’t afford a liability lawsuit so I stayed far away from this one. NO REPLY SENT. Where to take a Motorcycle CourseI noticed that you have given a select few locations to your readers w.r.t. where to take a motorcycle course. The following website is an all-inclusive list: http://www.mto.gov.on.ca/english/dandv/driver/gradu/motocourse.shtmlPlease be careful with limiting your information. Motorcycle courses rely heavily on word-of-mouth, and discluding other course providers from information – based websites such as yours, can negatively affect their enrollment. Course providers not listed are welcome to contact us themselves. If they can’t be bothered to contact us, why would we bothered to try to find them? We’re here only to provide personal experiences from ourselves and trusted friends. I’m not about to vouch for some product or some service I know nothing about to fellow motorcyclists. Thanks for the link though. Ride safe! LEARN2RIDEI was extremely disappointed with your LEARN2RIDE section. The original (censored) course in the country was developed by (censored) and it is still the largest by a long shot. We have more sites to learn than RTI and Learning Curves combined. Go to (censored) to see the courses in Central and Eastern Ontario, and take a look at (censored) for courses in the rest of Ontario and Canada. We’ll be looking for our listings in your “LEARN2RIDE” section. I’m sorry it’s taken me a while to reply to your email, but it took a while for your message to descend from your high horse down to me. I particularly liked your last sentence: “We’ll be looking for our listings in your “LEARN2RIDE” section.” With an attitude like that you’ll be looking for a long time. 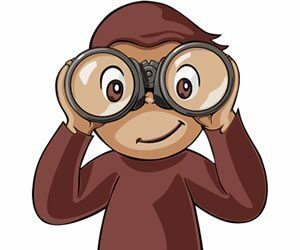 I’ve attached a picture of a monkey with binoculars, to keep you company in your search. I’m sorry that my website left you extremely disappointed. Maybe you should write a letter to someone. I’d appreciate the word of mouth. Please don’t forget that life’s short, and not everything needs to be taken seriously. Quite often a smile is all it takes to make someone’s day, and a nice hello can get you further than a tank full of gas.